London - A Ukrainian athlete who was stripped of her F35/36 discus gold after a computer error will be allowed to keep her medal but will also be awarded silver, the International Paralympic Committee said on Sunday. Mariaa Pomazan had won the first athletics gold of the Games on Friday ahead of two Chinese athletes - Wu Qing and Bao Jiongyu - only to see London 2012 organisers LOCOG announce later that the wrong medals were awarded. The amended result saw Pomazan and Wu swap places, with Bao relegated to fourth and replaced by Australia's Katherine Proudfoot in the bronze position. IPC spokesperson Craig Spence told reporters on Sunday: "The Ukrainian athlete (Pomazan) who originally won gold will get to keep that gold medal as will the Chinese athlete (Bao) who won bronze." Spence said the decision had been made "in the spirit of fair play" as the athletes were at the time competing against the scoreboard. In combined class field events, a statistical model - called the Raza system, - is used to determine final positions on points rather than distance. 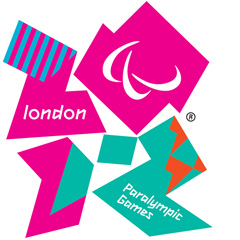 LOCOG said the mix-up was down to "inaccurate results data". The same problem affected the men's F42/44 shot put but the final medal positions were not impacted.